While our ancestors have been around for about six million years, the modern form of humans only evolved about 200,000 years ago. Civilization as we know it is only about 6,000 years old, and industrialization started in the earnest only in the 1800s. While we’ve accomplished much in that short time, it also shows our responsibility as caretakers for the only planet we live on right now. The effects of humans on Earth cannot be understated. We’ve been able to survive in environments all over the world, even harsh ones such as Antarctica. Every year, we fell forests and destroy other natural areas, driving species into smaller areas or into endangerment, because of our need to build more housing to contain our growing population. With seven billion people on Earth, pollution from industry and cars is a growing element in climate change — which affects our planet in ways we can’t predict. But we’re already seeing the effects in melting glaciers and rising global temperatures. 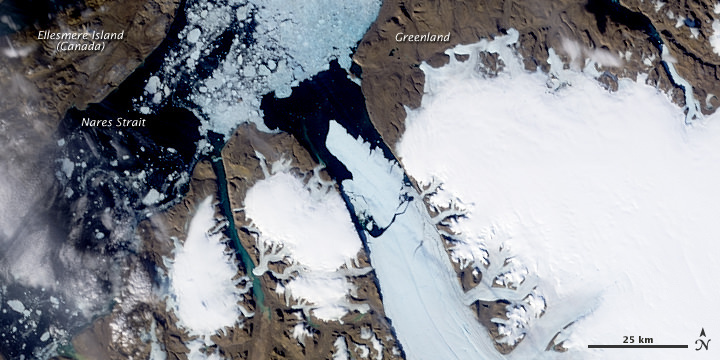 Enormous chuck of ice breaks off the Petermann Glacier in Greenland. Credit: NASA. 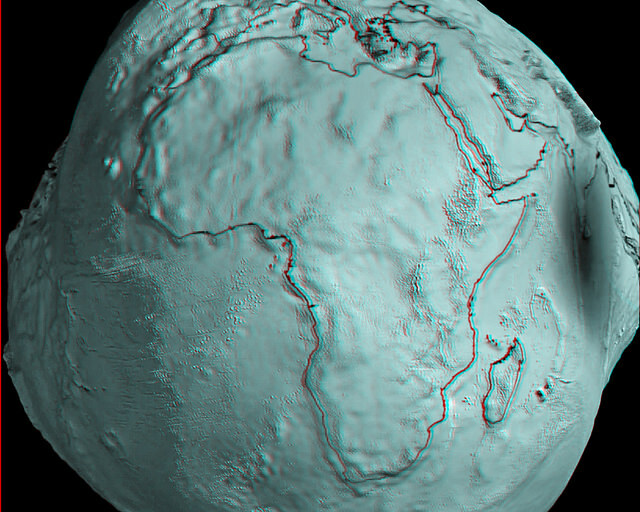 GOCE view of Africa.. Credits: ESA/HPF/DLR, anaglyph by Nathanial Burton-Bradford. Using genetic markers and an understanding of ancient geography, scientists have partially reconstructed how humans could have made the journey. It’s believed that the first explorers of Eurasia went there using the Bab-al-Mandab Strait that now divides Yemen and Djibouti, according to National Geographic. These people made it to India, then by 50,000 years ago, southeast Asia and Australia. A little after this time, another group began an inland journey across the Middle East and south-central Asia, positioning them to later go to Europe and Asia, the magazine added. This proved important for North America, as about 20,000 years ago, some of these people crossed over to that continent using a land bridge created by glaciation. From there, colonies have been found in Asia dating as far back as 14,000 years ago. Since this is a space website, it’s also worth noting when humans began leaving Earth. The first human mission to space took place April 12, 1961 when Soviet cosmonaut Yuri Gagarin made a single orbit of Earth in his spacecraft, Vostok 1. 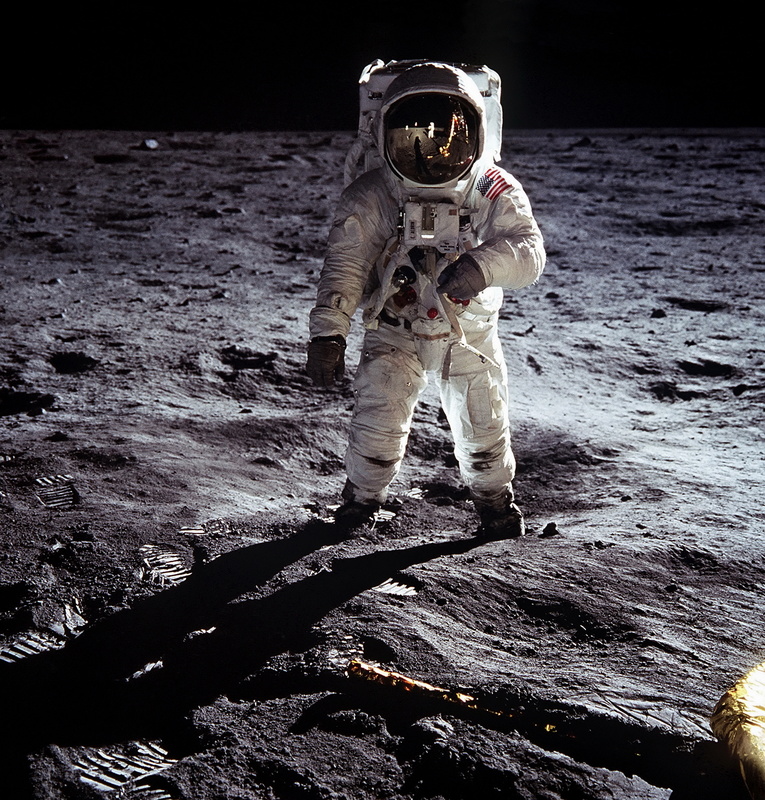 Humanity first set foot on another world on July 20, 1969, when Americans Neil Armstrong and Buzz Aldrin walked on the Moon. Since then, our colonization efforts in space have focused mostly on space stations. The first space station was the Soviet Salyut 1, which launched from Earth April 19, 1971 and was first occupied by Georgi Dobrovolski, Vladislav Vokov, and Viktor Patsayev on June 6. The men died during re-entry June 29 due to spacecraft decompression, meaning no further flights went to that station. There have been other space stations since. A notable example is Mir, which hosted several long-duration missions of a year or more — including the longest single spaceflight duration of any human to date, 437 days, by Valeri Polyakov in 1994-95. The International Space Station launched its first piece Nov. 20, 1998 and has been continuously occupied by humans since Oct. 31, 2000. The first humans to start the continuous occupation included Expedition 1 members Bill Shepard (U.S.) and Russian cosmonauts Sergei Krikalev and Yuri Gidzenko. Since the Tunguska impact in Russia in 1908, despite plagues and two World Wars, the World’s population doubled in 60 years. Then it has doubled again, in 50 years to the present 7 billion. Quadrupling in a little over 100 years. Just doubling of human population had taken one thousand year periods up until the 20th Century. Industrialization including the Haber process – creating the Green Revolution – is the cause. Today, industrialization and advanced technology is now idling millions of young humans leading to the violence we see. 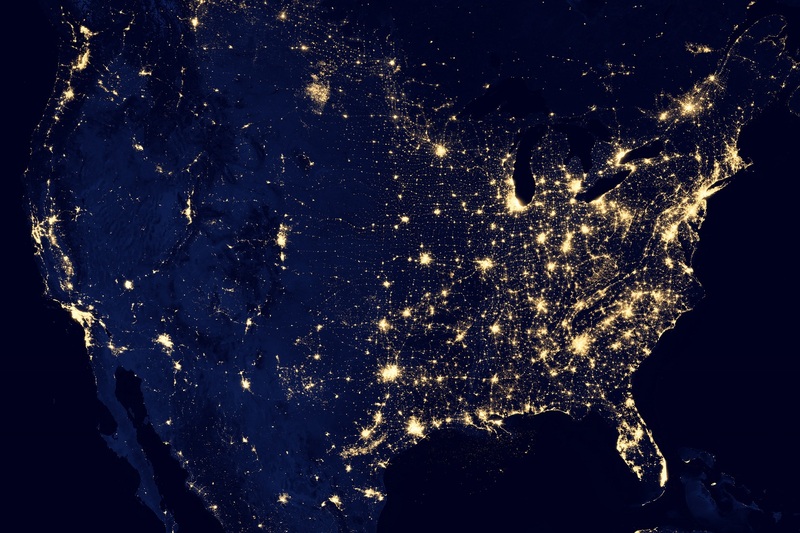 The sudden connectivity – bringing all humans into close cultural contact has stressed many cultures not prepared to adjust and tolerate diversity. The comment in this article “Civilization as we know it is only about 6,000 years old..” fails to consider archeological sites such as Gobekli Tepe that indicate functioning agricultural societies from of 12,000 years ago. Looking further back, into the valleys now inundated with the Black Sea we can logically surmise that man, in his present societal state has been here much longer than 6000 years. The world began before 4004bc, Bishop Ushher, and society at least 12,000 years ago.